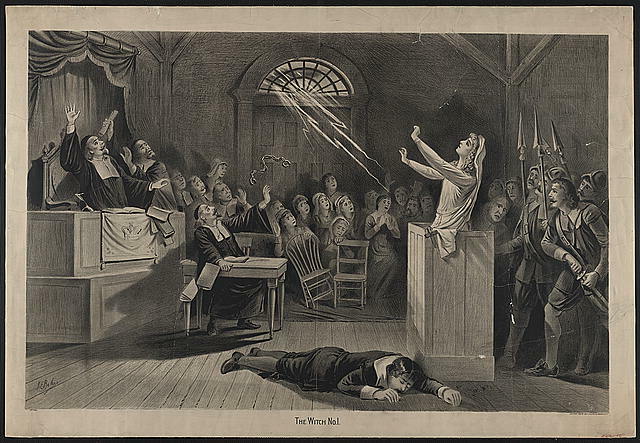 The Salem Witch Trials – What’s the Story? 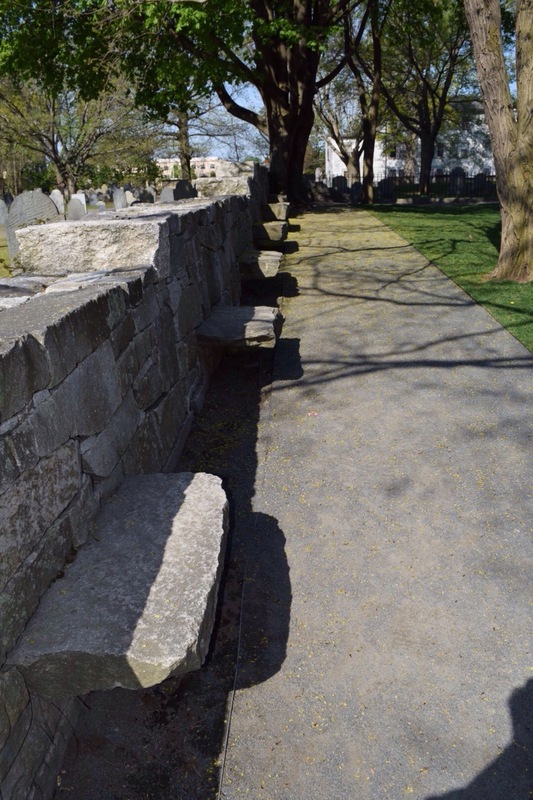 In the centre of Salem overlooked by witchcraft museums and a tacky set of gallows sits a subtle memorial to the 20 victims of the Salem Witch Trials. 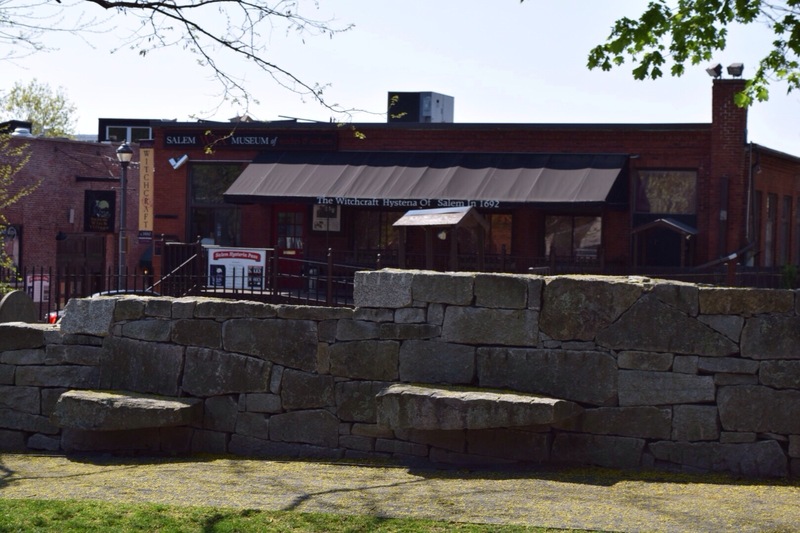 You could pass this part of Salem without stopping, en route to the next witchcraft shop or scary walk, and yet it is this area that provides the actual reason for Salems’ infamy. 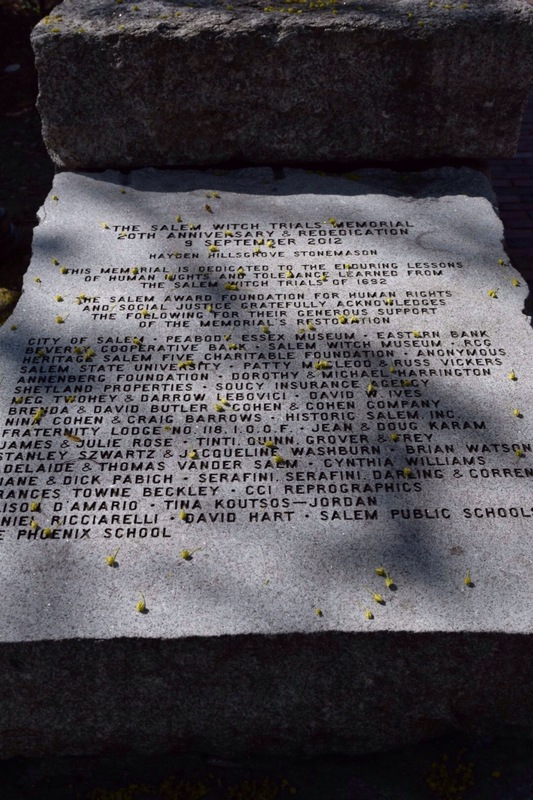 Salem isn’t famous for its witches but for the execution of 20 innocent people accused by a paranoid community of being witches. On protesting their innocence these 20 people were killed. When one of the accused was able to recite The Lords Prayer at the gallows – something a witch should be unable to do – it was explained that the Devil was telling him what to say. He was then pressed to death – having boulders put on his body, until he suffocated. It was only shortly after their death that these 20 innocent victims were pardoned and their families compensated. 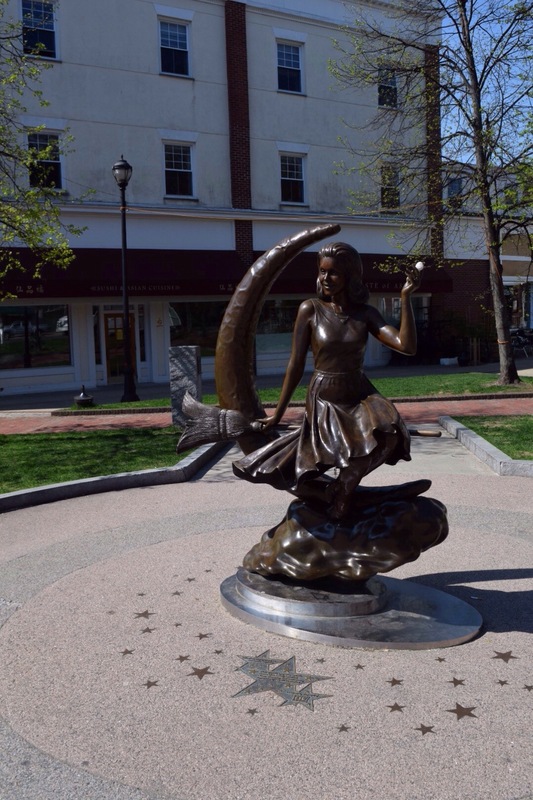 Salem is not a town of witches, quite the contrary. America had not long been settled when in 1692 the daughter of the Rev. Samuel PARRIS, the first ordained minister in Salem, began fitting and saying strange things. Betty PARRIS was just 9 years old. Her cousin Abigail WILLIAMS was 12 and also showed similar signs. A local doctor diagnosed that the supernatural was at work. The girls were brought before local Magistrates where they stated that three women were to blame for their possession, Tibuta, the PARRIS’ slave, Sarah GOOD, a local homeless beggar and Sarah OSBORNE, a poor old local woman. These three women were presented to the Magistrates. Tibuta confessed that she was possessed but both Sarah’s protested their innocence. All three were put in jail. All three were women who sat outside of the community, they were outcasts and had no one to rally on their behalf, no one to side with them. Tibuta, during her confession, had stated that others were involved. Life was given to a bubbling paranoia. A full blown terror erupted and with it irrationality and suggestibility. Intelligent people were easily convinced because they believed. And the less intelligent were susceptible to the drama and attention. A stream of accusations followed. Two stout local church goers were accused, Martha COREY and Rebecca NURSE. Locals were very scared. If such devout church goers could be possessed then anyone could. Martha COREY had challenged the believability of the two girls’ evidence. This was used against her as evidence of her possession. Those basic tenants of the right to a free trial and the right to face your accuser were not only far from consciousness but the expectation of them was used as evidence of guilt. A special court was convened in May 1692. The first hanging took place on June 10th. Many images of the trials may be familiar to you. Much, if not all, of the evidence was spectral or based on visions or dreams. People suddenly appeared possessed whilst giving evidence Perhaps we could call their testimony ‘made up’? The court was implored to disregard this ‘evidence’ but they chose to ignore this advice. In July 1692 five more people were hanged. In August a further five. And in September there were eight more ‘witches’ hanged. The Governor took heed of this advice, perhaps bearing in mind that his wife had also been accused. Spectral evidence was disallowed and whilst there were a huge amount of further accusations, few were now proven. The Governor eventually pardoned all those in prison. By this time though 19 people had been hanged and one man had been pressed to death. Ultimately based on the imagination of a 9 year old and a 12 year old a hysteria developed amongst a God fearing community that led to the deaths of 20 people. 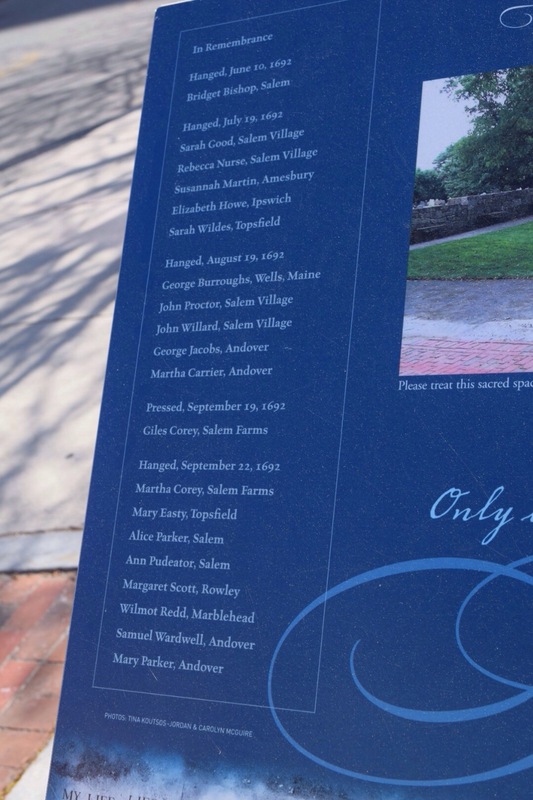 On first visiting Salem I read The Crucible by Arthur Miller. This is quite a short play and perfectly dramatises (I think!) 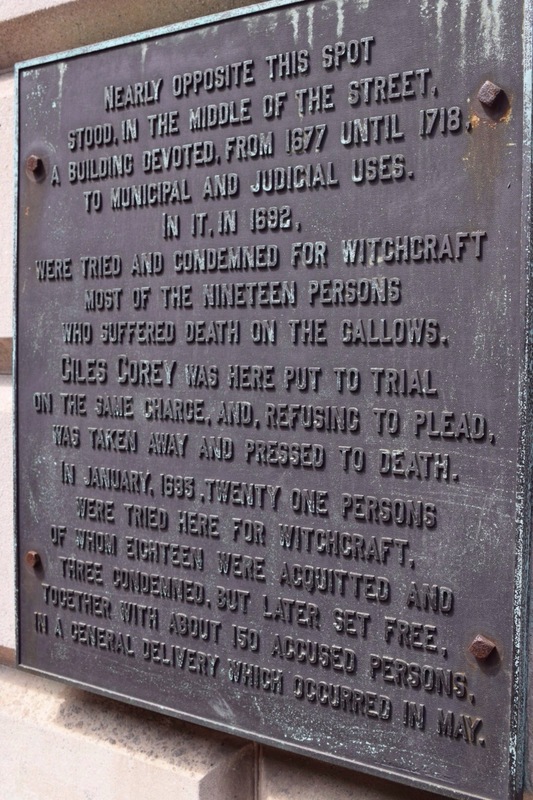 the story of the Salem Witch Trials. Certainly worth a read if you are interested. It portrays the fervour and fear exceptionally well. After learning the real story of Salem I now find all the tacky exhibits a little difficult to stomach. 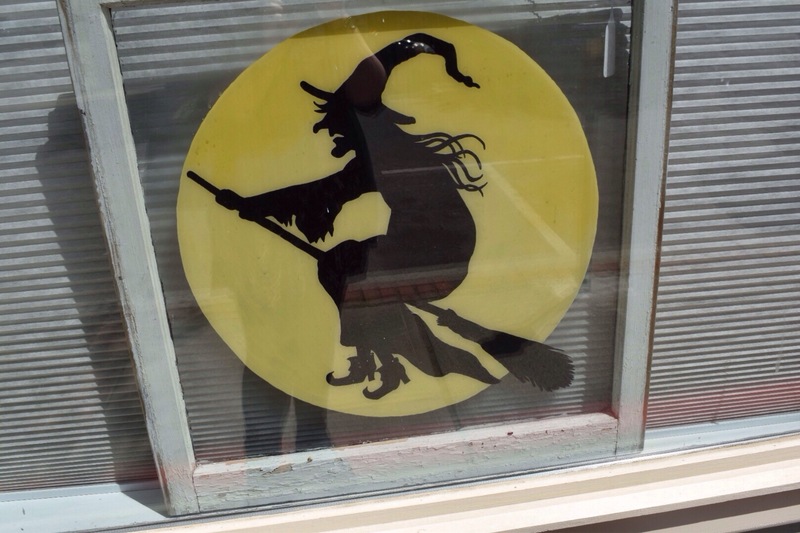 It’s just an opinion and it’s clear that Salem has become a centre for witches and a place to visit at Halloween. But to me it seems that to think that Salem is about witches is to utterly misunderstand history. And yet the fact that Salem stands full of witchy gift shops and stickers saying ‘my other cars a broomstick’ means that the story of the Salem Witch Trials is remembered over 300 years later. 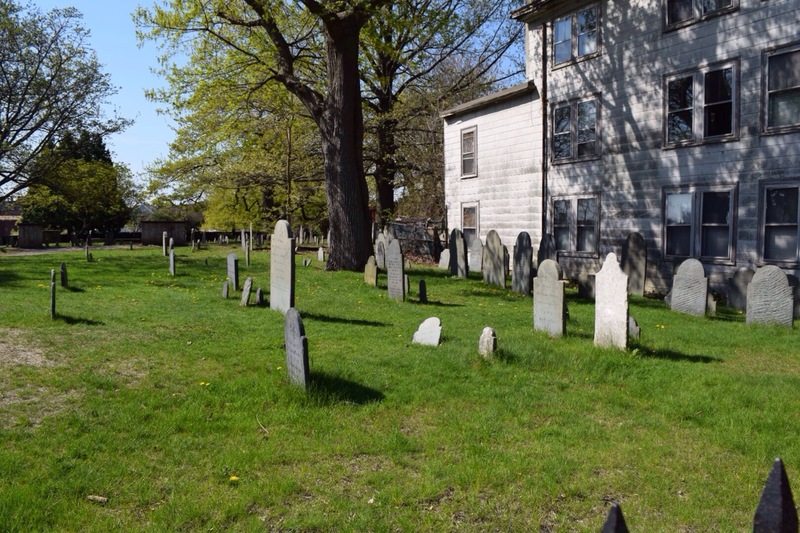 The homestead of Rebecca Nurse still exists alongside the family cemetery. 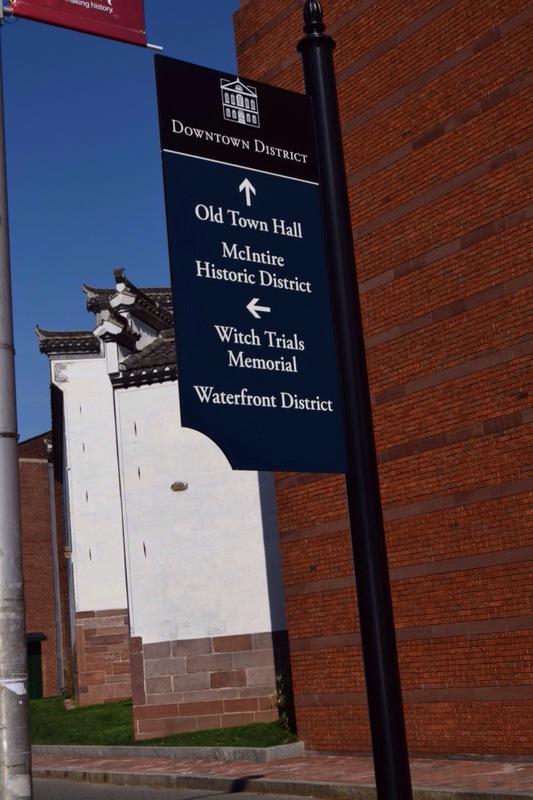 The residents of Salem know their towns history and many will stand and talk to you about it. They and the towns many exhibits use the draw of the witch to tell the real story. 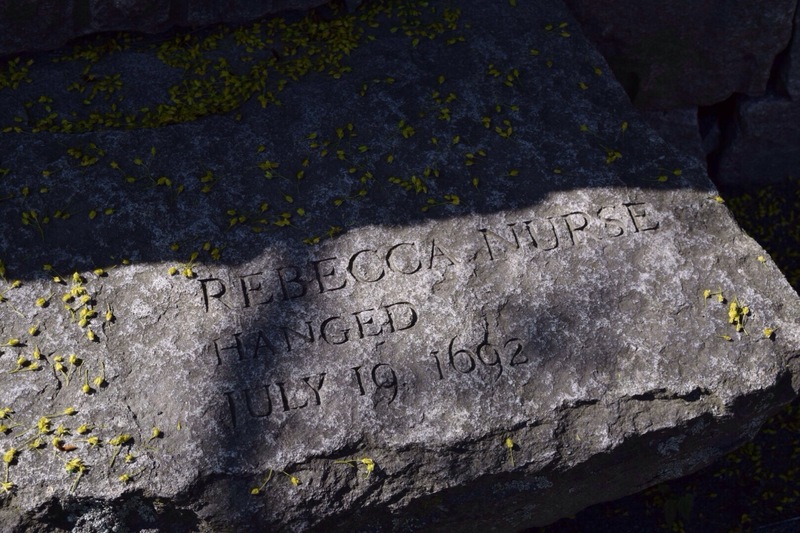 The tragedy of the Salem Witch Trials.